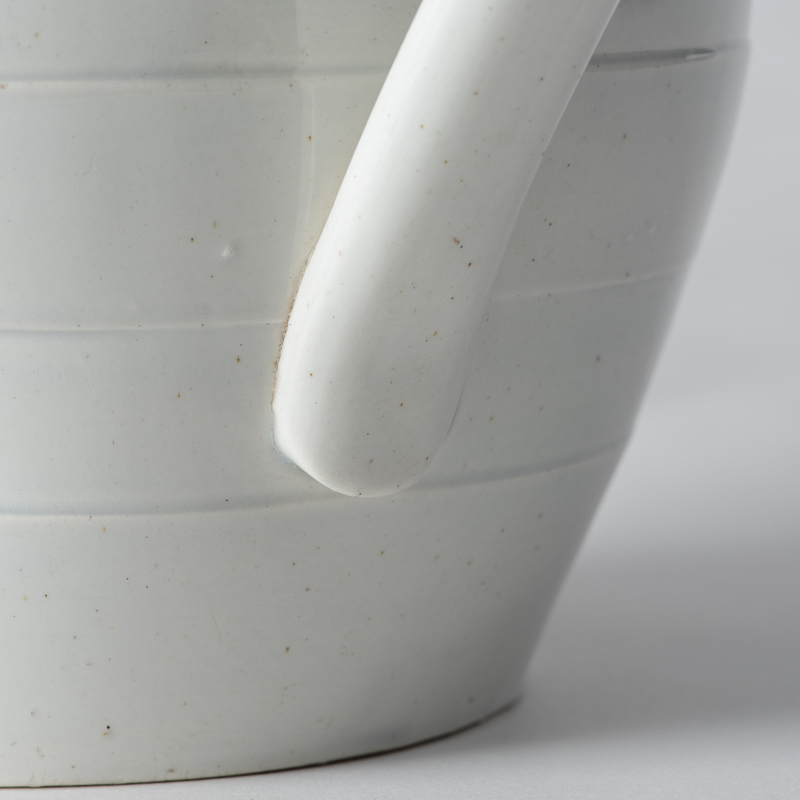 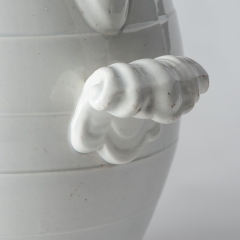 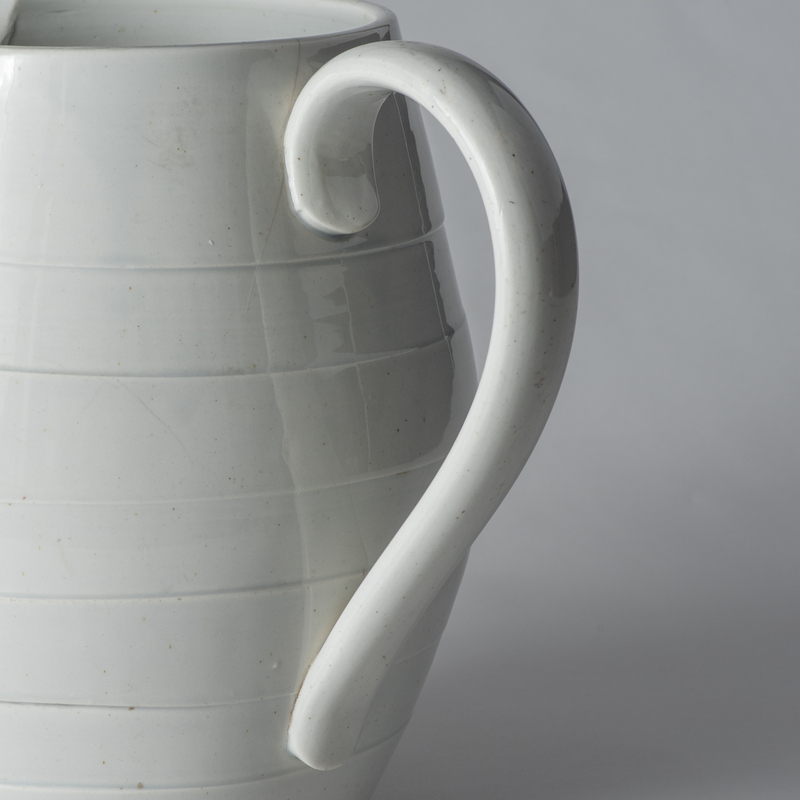 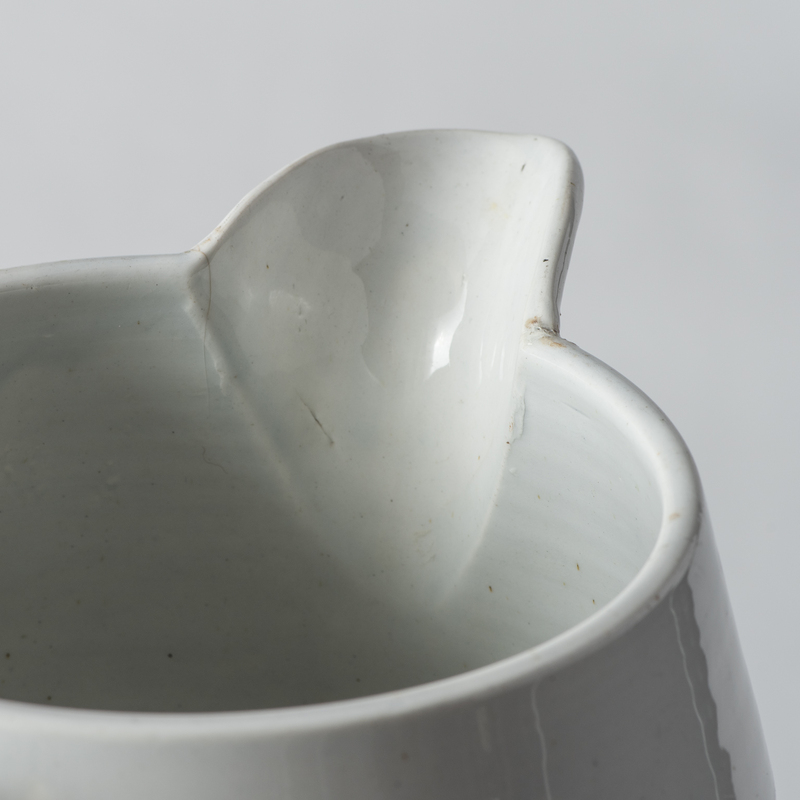 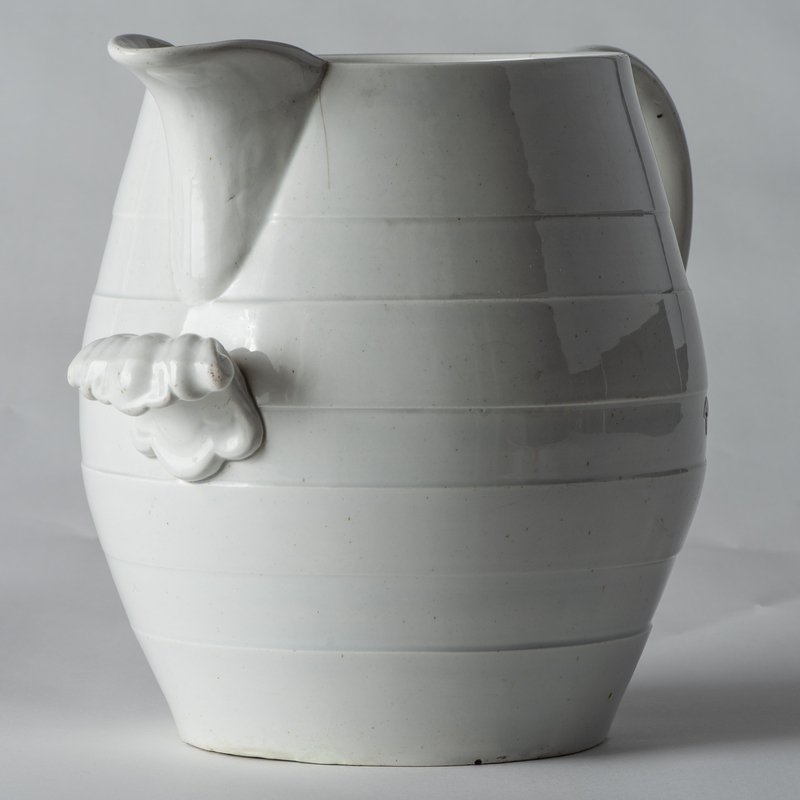 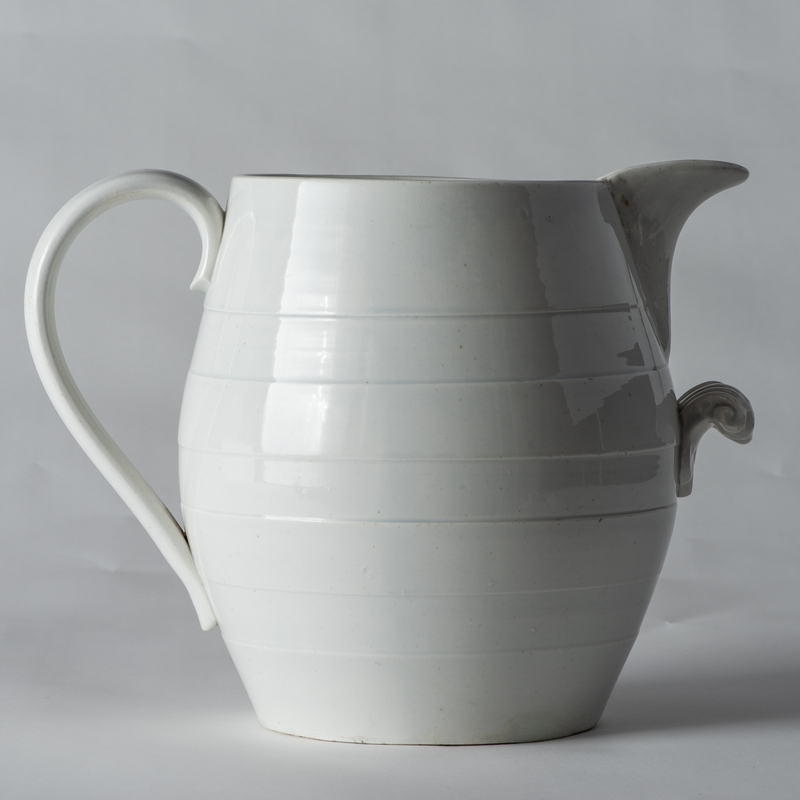 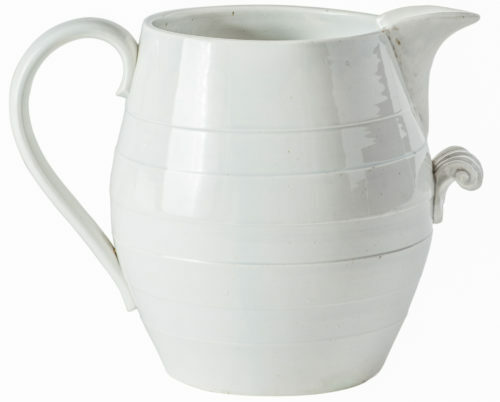 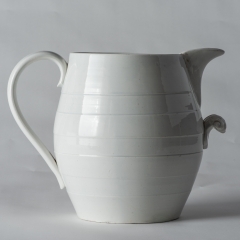 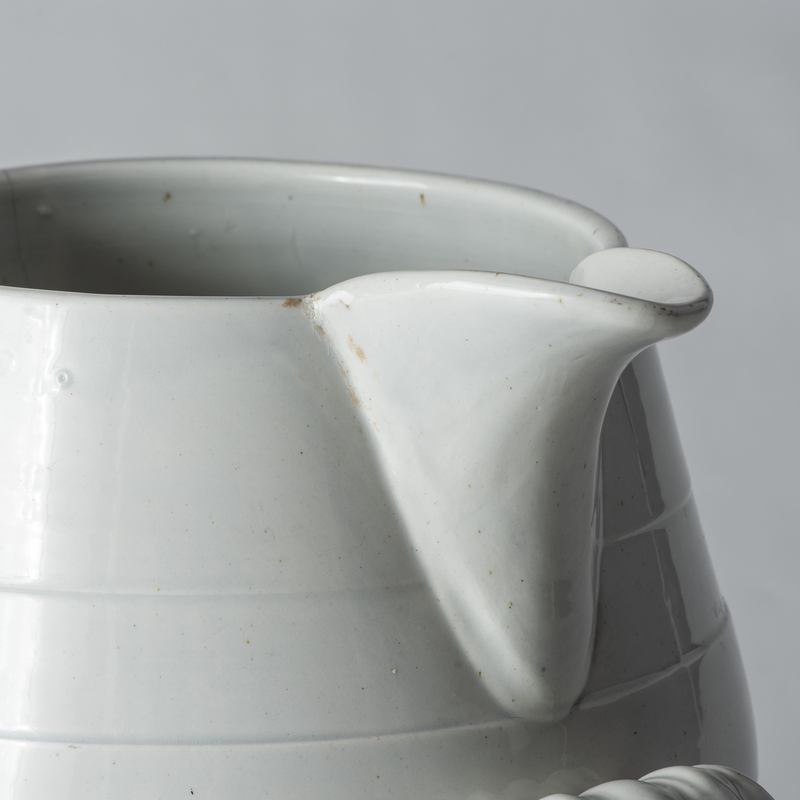 This monumental pitcher has two decorative handles, the one in front was designed to make it easier to pick up and pour from. The outside is decorated with a series of ribbed bands. 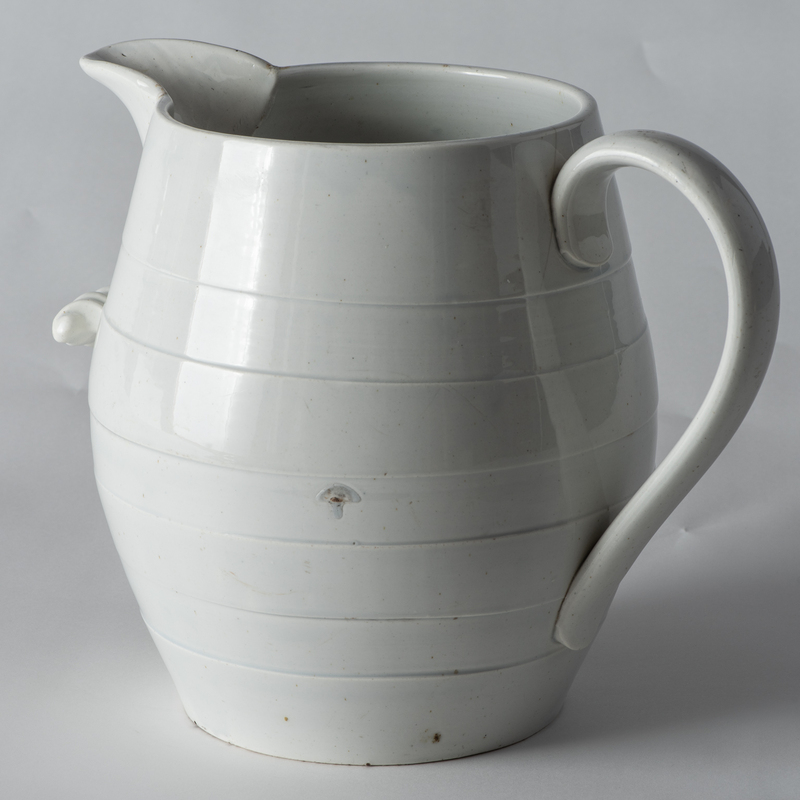 It was probably used to fill a water basin or footbath. This classic piece is a wonderful way to display lots of flowers.